I cried like a baby. Both times. The 36 hours leading up to Cara’s wedding were unbelievably hectic. Since Italian law necessitated a civil ceremony before the religious ceremony, the plan was to have a simple service in the church in Genova on a Thursday afternoon and then, the next day, drive up to Bern, Switzerland for the religious service, which would take place Saturday morning. Of course, nothing is ever as simple as it seems. I became extremely grateful that I didn’t have a travel companion to keep entertained so that I could offer my help with all the last minute details, preparations and shopping that needed to be done. Decorating the church, picking up the flowers, choosing the bomboniere (the Italian tradition of passing out sugar-coated almonds – I was only too happy to help in the very important job of picking out the best flavors), the to-do-list seemed to grow with every passing hour. However, I was happy to be there for my friend, and in the midst of all the craziness, Cara and I managed to do a serious amount of catching up, often getting lost in old memories until someone (usually her mom or the groom) would move us along with our task. My official role in the civil ceremony was that of “witness” – which meant I got to sit in the front with the other witnesses and sign my name on the official record, stating that I had seen the ceremony happen. The only American in the group, it was a special moment to watch the friend I loved so dearly commit herself to the man she adored. Though there were plenty of stressful moments (like when we learned the clean-up crew decided that they wouldn’t be coming after all), Cara was a beautiful bride and it seemed like everything was going to go off without a hitch. With the absence of the clean-up crew, the morning after the wedding was a frantic scramble to get the church back in order and get on the road. Though it was a beautiful drive through northern Italy and across the boarder into Switzerland, the adrenaline started to fade and exhaustion took over. Never had any group been so happy to see the lights of Bern on the horizon. As we pulled into the hotel, all we could think about was getting some dinner and heading to bed. However, as we entered into the common room, the whole place was buzzing, with people crowded around the computers and tvs. Volcano? What volcano? We had been completely shut off from the real world for the whole day, and had no idea what anyone was talking about. We just stood there, dumbfounded. The first thought was for Cara and her groom – and for their honeymoon flight to Spain they had booked for tomorrow afternoon. And then everyone looked at the American in their midst. And I truly thought it would be. Since I had never been to Switzerland before, I had decided to take some extra days after the ceremony to do some sightseeing. A day in Bern, a day in Geneva. I wasn’t due to fly out until Monday afternoon. Surely everything would be resolved by then. 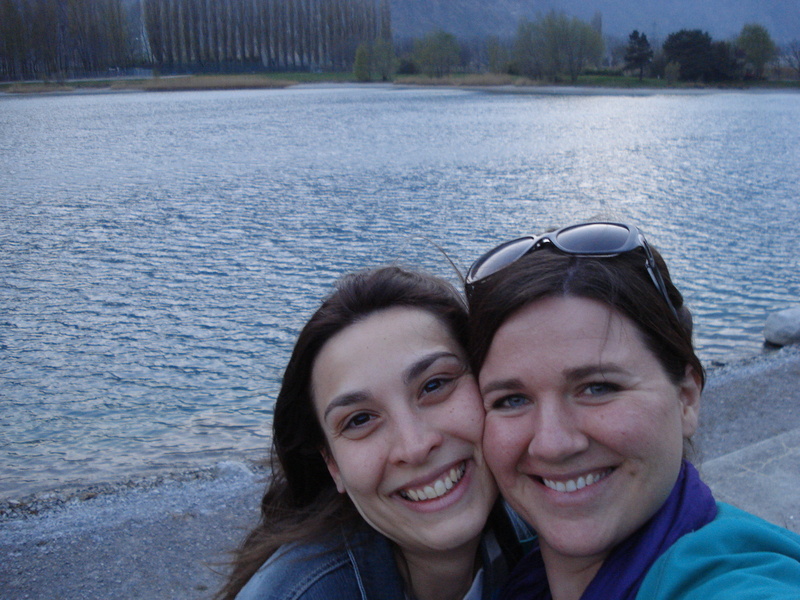 This entry was posted in 2010, Cara, Choices, Genova, Italy, Switzerland and tagged best friends, Choices, Genova, Iceland, Italian, Italy, marriage, memoir, memories, missionary, Switzerland, travel, Volcano. Bookmark the permalink.